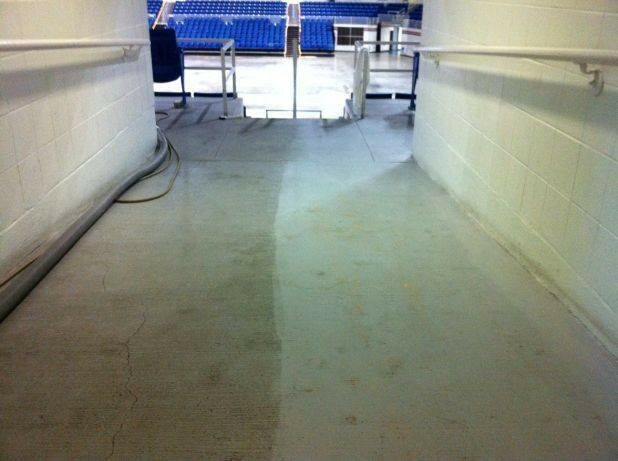 We are now offering, epoxy and mastic removal along with concrete staining and polishing. This is an employee breakroom covered with an epoxy paint. This is the finished product. We removed the epoxy coating, and then polished it, stained it, and then sealed it. Hi there, and Welcome! to our page. 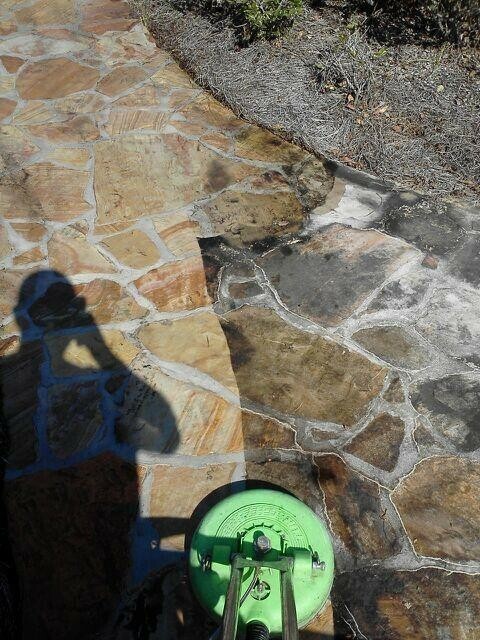 Reflections Hard Surface Restoration, LLC. 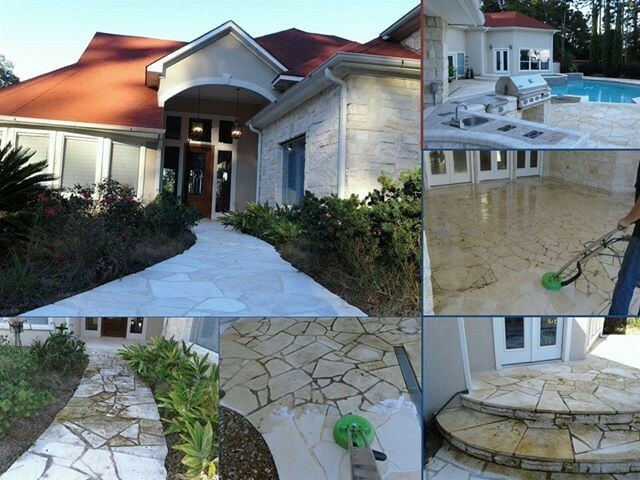 is a hard surface restoration company. 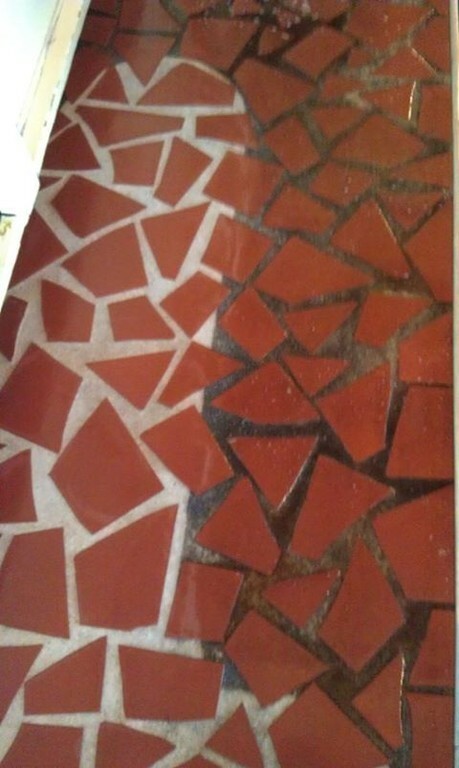 “What is Hard Surface Restoration” you ask? 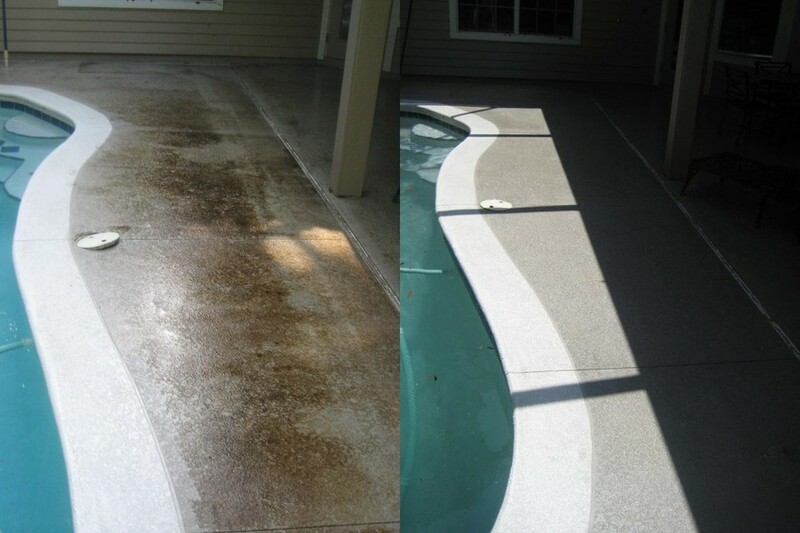 We are in business to evaluate, repair, service, clean, seal / coat and restore your hard surfaces, and even some of the softer ones. 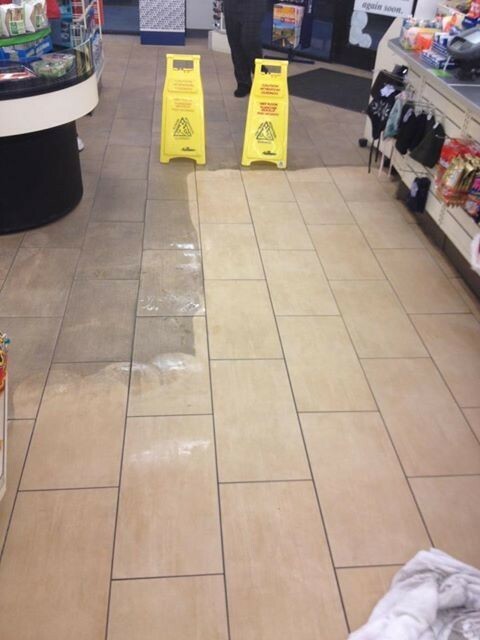 We service your tile and grout, concrete, terrazzo, brick and stone, your wet and dry applications, and hardwoods. 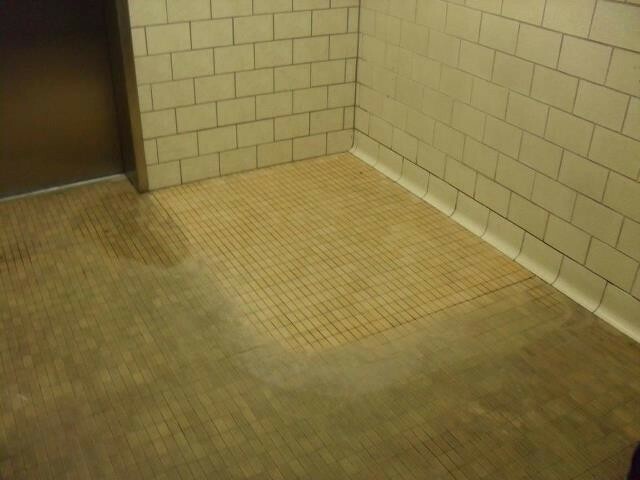 All surfaces from wood to concrete, even steel must be maintained or they will deteriorate over time. 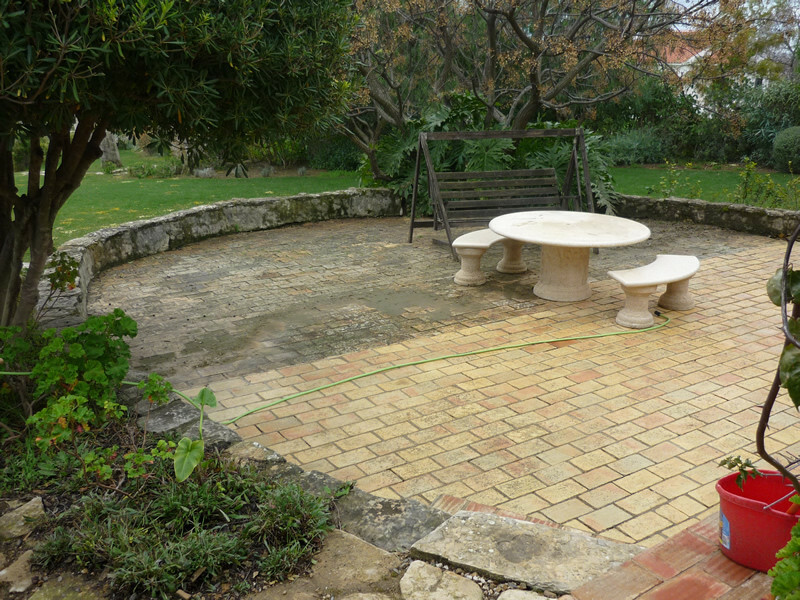 We offer services for maintenance and repairs, cleaning, sealing and beautification. 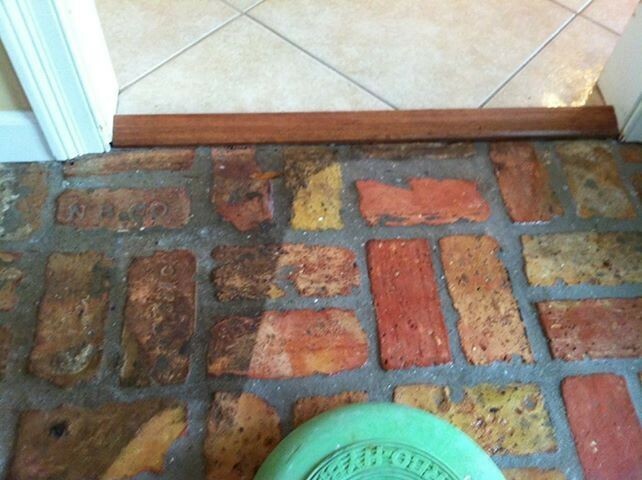 We offer drainage advice and solutions on cracking and deterioration. 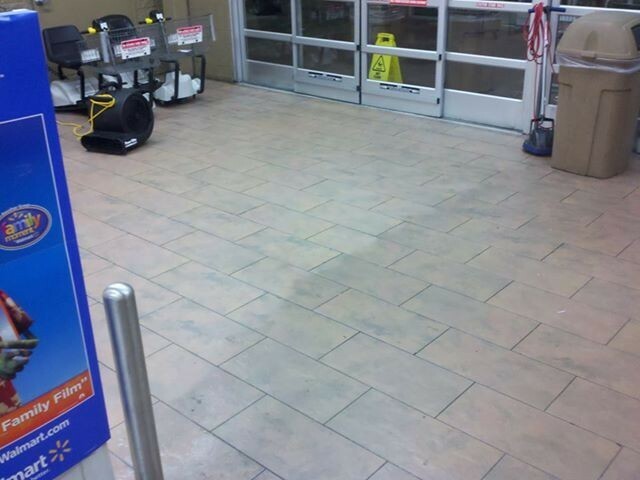 We offer seamless epoxy flooring systems and service commercial and residential needs. From a basement, kitchen, to a breakroom or warehouse floor, or even a showroom floor. We have the products and services to handle all of your hard surface needs and beyond. 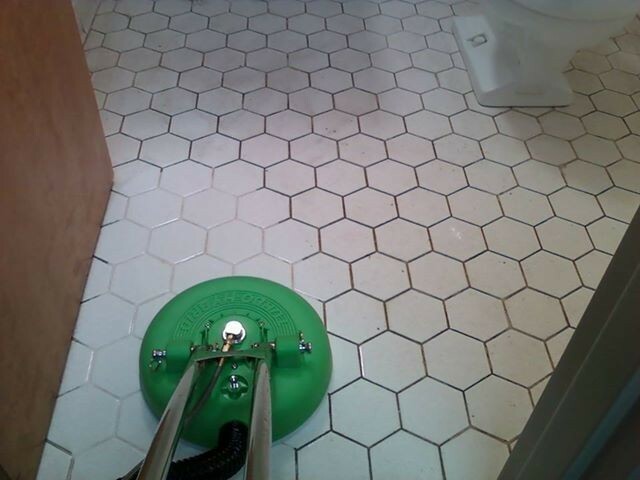 Over the last ten years, more and more people have started switching from carpeting to hard surfaces like tile and grout, stone, concrete, terrazzo, brick, hardwoods and laminates. They are pulling up the carpet to find old surfaces underneath. 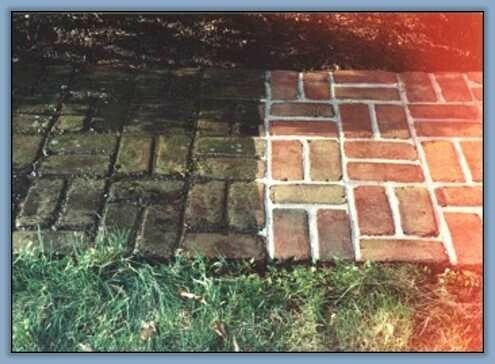 As this trend continues, more and more people are llooking for ways to restore, clean and maintain them. As a consumer you have to navigate through the thousands of companies in our area to seek help, and who do you call? A tile setter? A mason? A flooring company? A concrete company? A Handyman? A Friend? 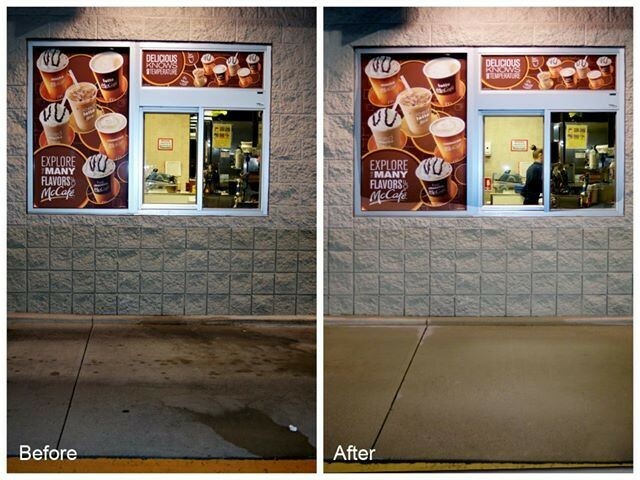 At Reflections HSR, we are in business to deliver the best hard surface cleaning, maintenance, repair, protection and beautification available. We have the latest products, training and technology available to deliver outstanding results. We are certified with the Hard Surface Maintenance Professionals Association.